Hi there! All is ready for Blogmas which will start next Tuesday on the 1st of December. Meanwhile I decided that it's time to give away a nice festive beauty treat. 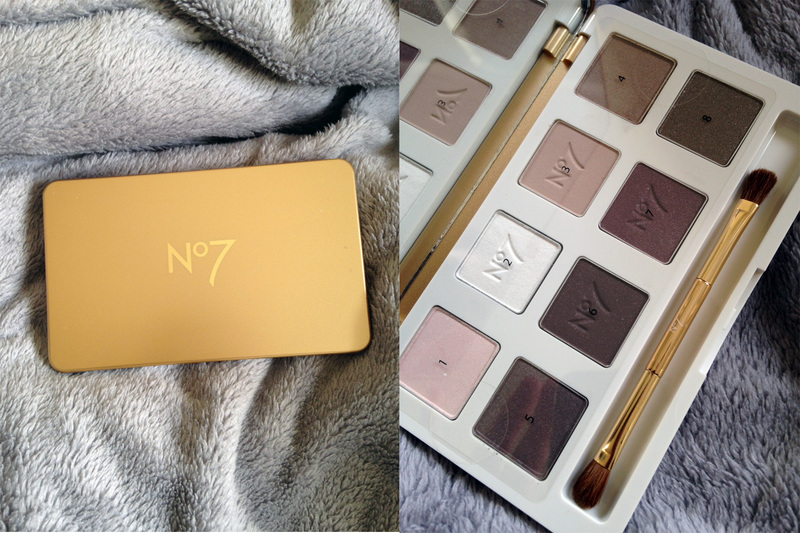 It's the No7 Mini Eyeshadow Palette. This beaut has eight perfect shades made for autumn-winter time; four of which are light and the others are dark. A perfect, compact palette which can give you gorgeous day looks and smoky party looks. The shades are pretty festive and warm. Comes with a mirror, a two sided BRUSH...not doe foot applicators (bonus)...and easily fits in your handbag, even your clutch bag. The giveaway is open internationally and ends on Christmas Eve (24/12/15) at 11:00 am (GMT) and so the winner will be announced on Christmas. 14 comments on "Giveaway : No7 Eyeshadow Palette"
My favourite beauty product for this time of year is a lip balm. My favourite beauty product for this time of year is lip balm. MAC lipstick in Rebel ! A good hand cream to keep the hands always soft! mac lippie in lady danger! I like Farmec's mattifying moisturizer. I do not really like these shadows. I love the lighter shades. It looks more natural. Eye shodow palette is a great thing for me. I would like to have it. I want to order it.